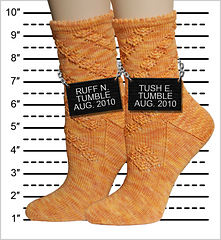 Crafty Detour presents the the third sock in the Criminal Sock Investigations E-Book. 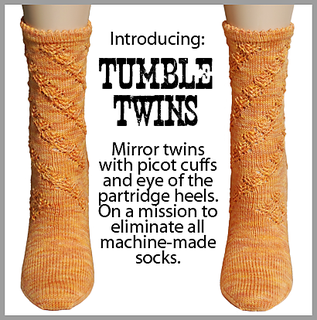 Tumble Twins: Mirror twins with picot cuffs and eye of the partridge heels. On a mission to eliminate all machine-made socks. These socks are worked from the top down on a set of 5 dpns. 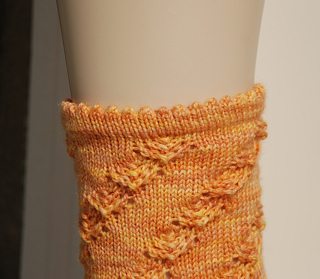 If you prefer, the socks may be worked using the Magic Loop technique, or on two circular needles. 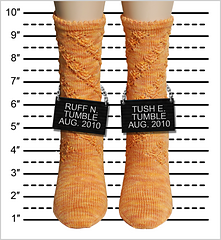 The right and left socks are mirrored; both sets of charts and writen instructions are included.